The same State Road Covered Bridge seen in last week’s post is seen here with some creative effects added and from a little closer vantage point. I took this shot from a point within the branches of the fallen tree seen in the foreground. The tree was distracting in the original photo but I found by doing some creative post production work on it in Photoshop and with Nik plug-ins, I could make the tree a bit less obvious. The sun was also shining on the bridge for a few brief moments when this shot was taken and gave a nice warm glow to the bridge and the rusty red foliage to the left. 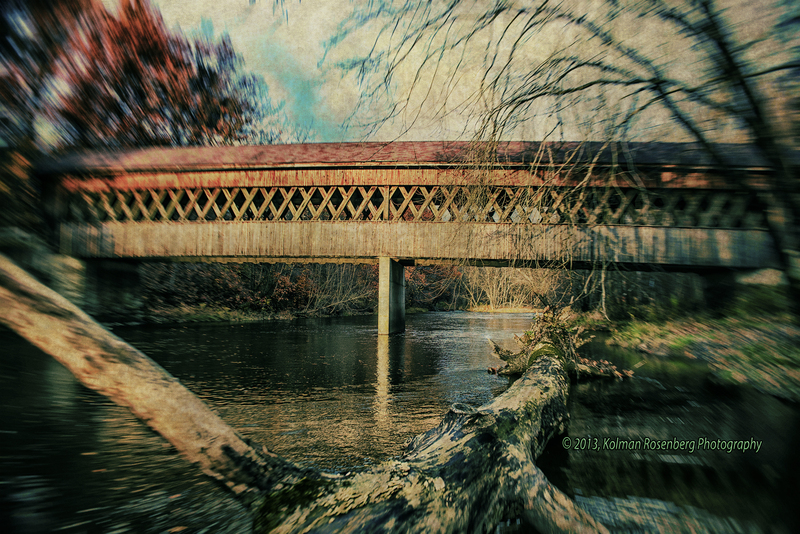 This entry was posted in Uncategorized and tagged ashtabula, county, covered bridge, creative, creativity, Nik Software, OH, ohio, photoshop, state road. Bookmark the permalink.